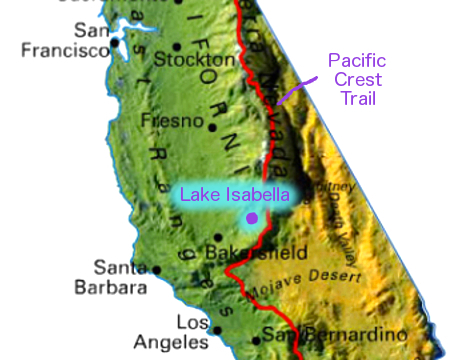 This section is for booking indoor or outdoor classes or events outside the Kern River Valley (KRV) & Bakersfield area; to host a class in the KRV, click here. 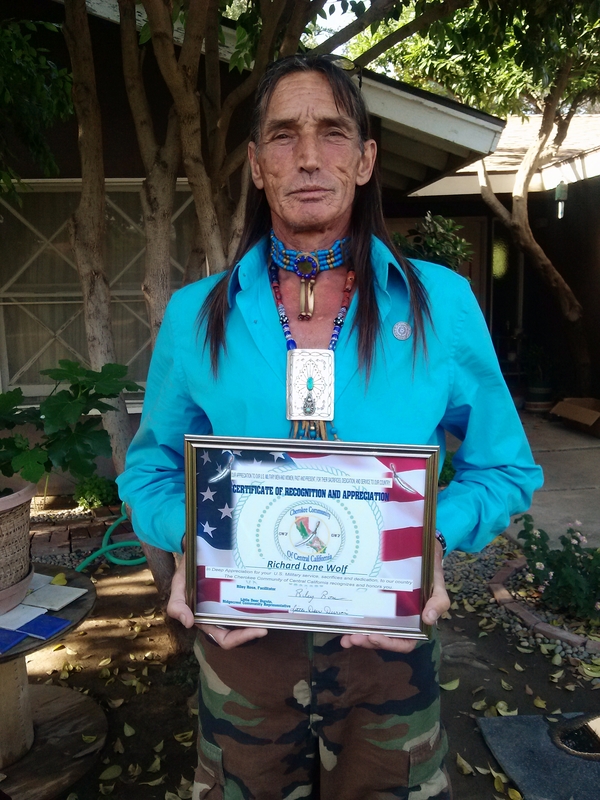 that Richard Lonewolf has earned. These are no-nonsense skills that will save peoples‘ lives. When planning to host a class or event at a local park or nearby public wilderness area, be sure to coordinate with that forest or park service agency in case a “Special Use Permit” must to be filed prior to booking. Permits are often required for hosting private or public commercial classes or events (if there’s an entry fee, its considered “commercial”). Noncommercial (free, privately-sponsored and public, or church groups, etc.) 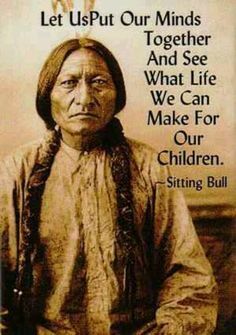 events do not require such permits. Contact your local forest or park service agency for exact details. “Proof of permit” OR “a statement from the agency (owner, etc.) where the class/event is being held indicating that no permit is required”, as well as a 10% deposit, must be submitted at the time of booking (“purchase”) with Richard Lonewolf Survival School. Flat rate; $1000/day. (averages $63/student per day for a class of 16– that’s $10.50/hour per student for 6 hours). 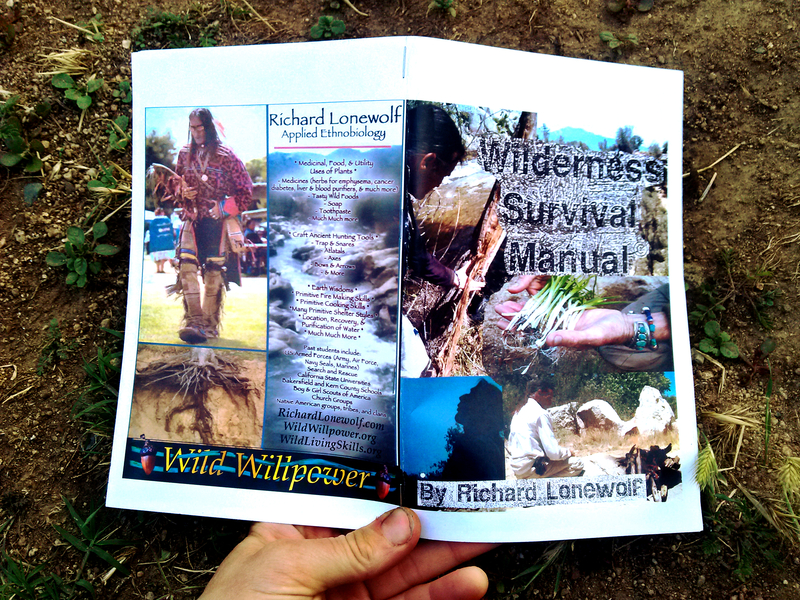 Each student will receive a copy of Richard Lonewolf’s Wilderness Survival Manual, & the host (person or organization booking the class) will also receive a personalized, autographed copy of Richard Lonewolf’s 180 page, full-color textbook, More Valuable Than Gold. 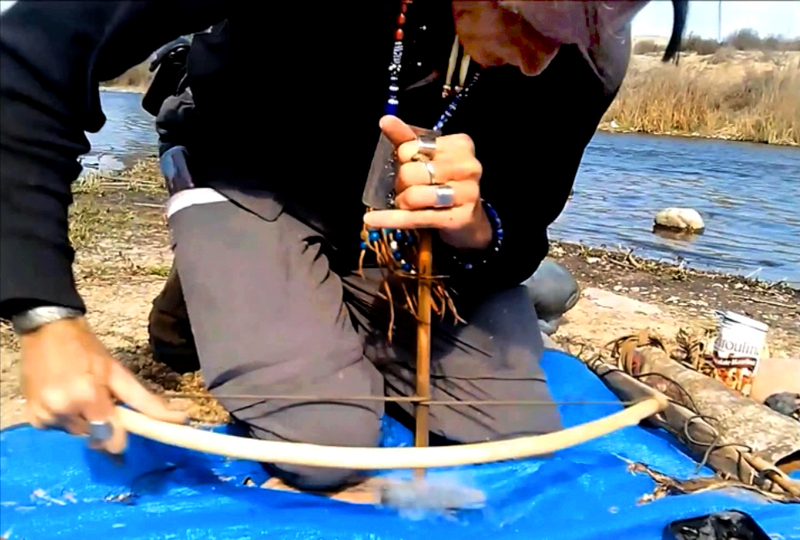 Class includes several demonstrations: many fire making techniques, handmade hunting tools & essential ancient survival tools (all made from wild plants & trees, knapped stone), a “tour” of your local wild plants & trees & their edible, medicinal, & utility (cordage & rope, wax, soap, etc.) 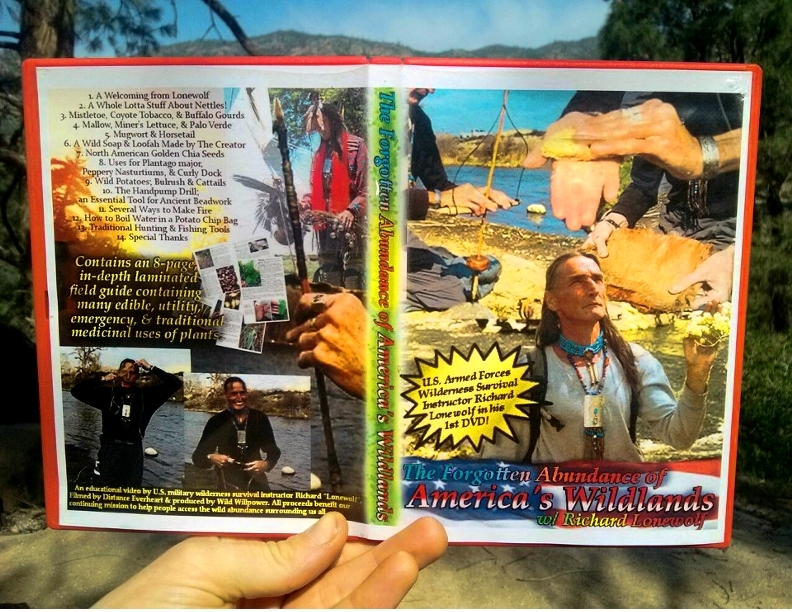 uses, as well as in-depth, experienced explanation of any & all questions the students may have regarding wilderness survival & traditional medicines, & much much more. 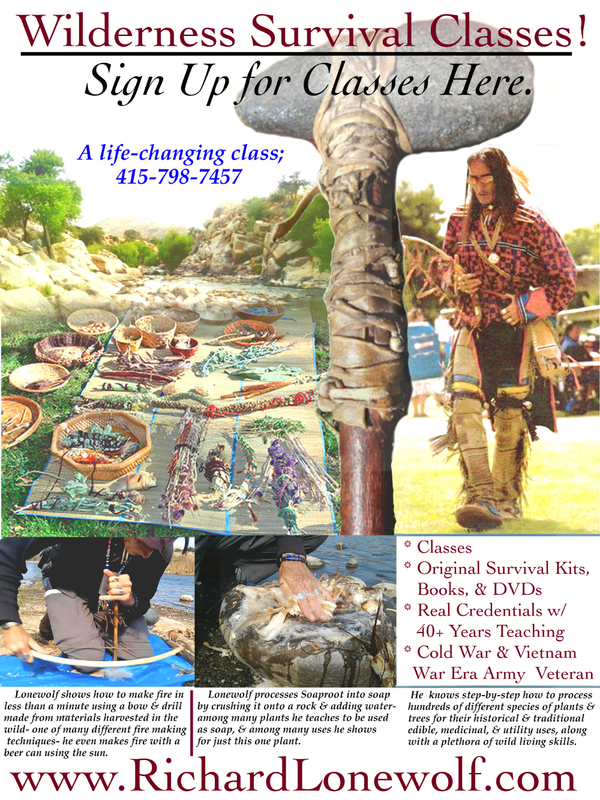 2-4 Hour Indoor OR Outdoor Classes, Demos, & Lectures for 10 or more students; contact EarthWisdoms@gmail.com or 415-798-7457 with an offer & what you have in mind to receive an initial quote. 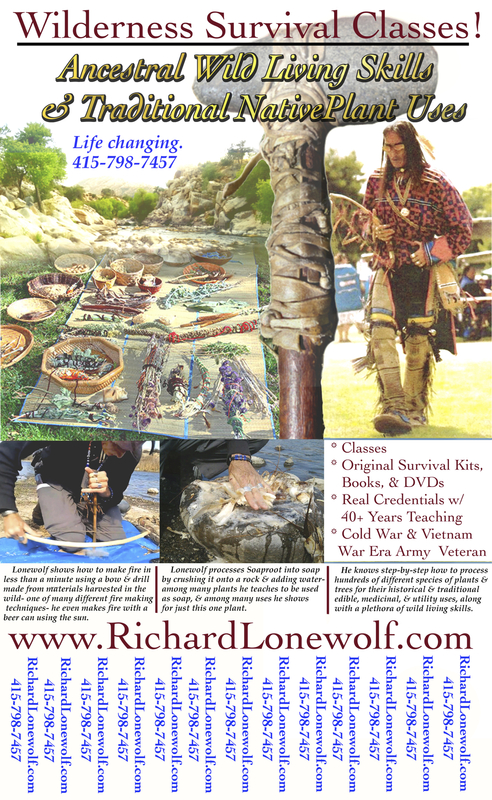 A downloadable, printable PDF file for an 8 1/2″ x 14 “ (legal size) flier with tear-away pulltabs will be sent to you at the time of purchase to help you attract customers; your event will also be advertised here on www.RichardLonewolf.com. 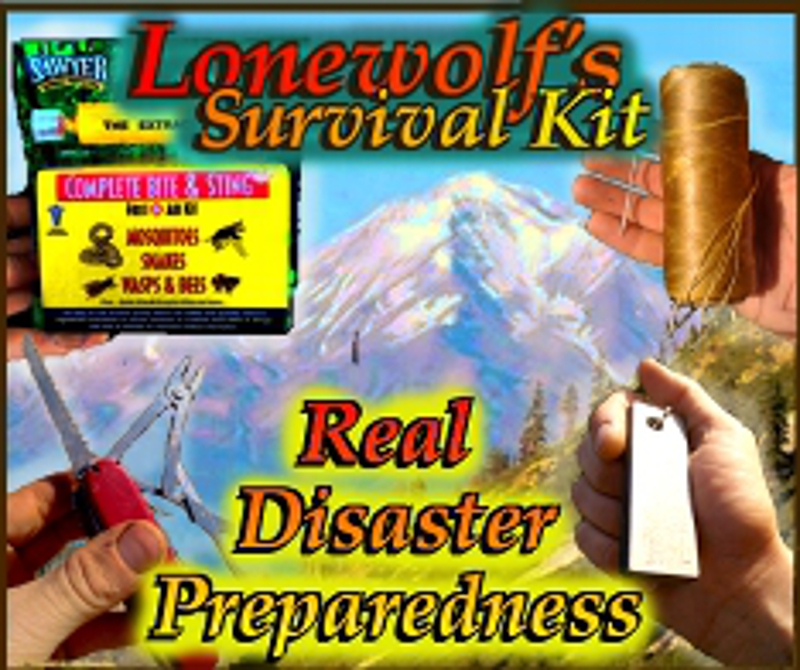 Classes may be filmed by any agency &/or entity working in direct accordance with &/or with permission from Richard Lonewolf Survival School, who will retain non-exclusive, limited & equal rights shared exclusively with filming agencies &/or entities, including all footage, without prejudice. When booking, indicate whether or not your agency/entity intends to film & for what purpose/s your organization(s) would be utilizing such footage for. 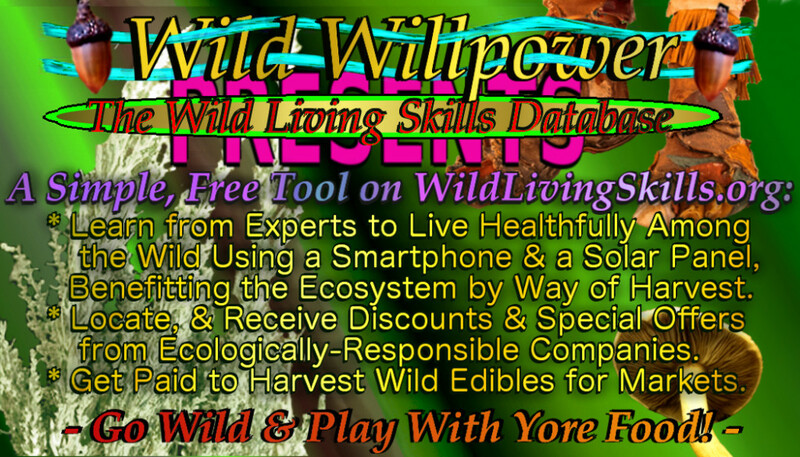 For questions or assistance, or to schedule a class or event, contact EarthWisdoms@gmail.com OR call 415-798-7457.